Casa Vacanze Nonno Giulio i Roma, Italia: Bestill nå! Is required a Secutiry deposit to confirm each reservation. 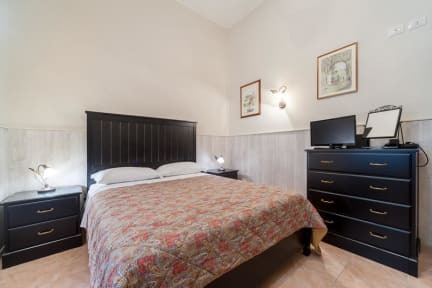 Casa Vacanze Nonno Giulio offers accommodation in Rome, 1.6 km from Piazza di Santa Maria in Trastevere and 1.7 km from Campo de' Fiori. 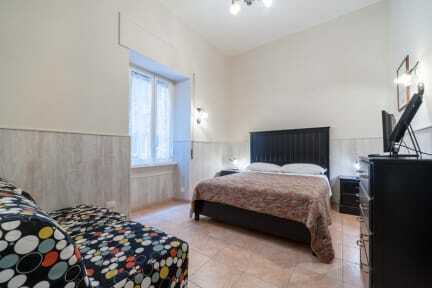 This holiday home is 1.8 km from Synagogue of Rome and 2.3 km from Palazzo Venezia. Our apartments are situated in the central area of the city and are well connected allowing our guests to travel around easily. Piazza Venezia is 2.4 km from the holiday home. The nearest airport is Rome Ciampino Airport, 17 km from the property. TRASTEVERE, the true heart of the "Eternal City", is home to street artists, actors and artisans. Wander through the tiny lanes and you will find the true calling card of this area – dozens of restaurants serving delicious, traditional roman fare. With the main attractions no more than 25 minutes away by foot, you are in for a pleasant strool. Surrounded by such rich architecture, you can only be in Rome.